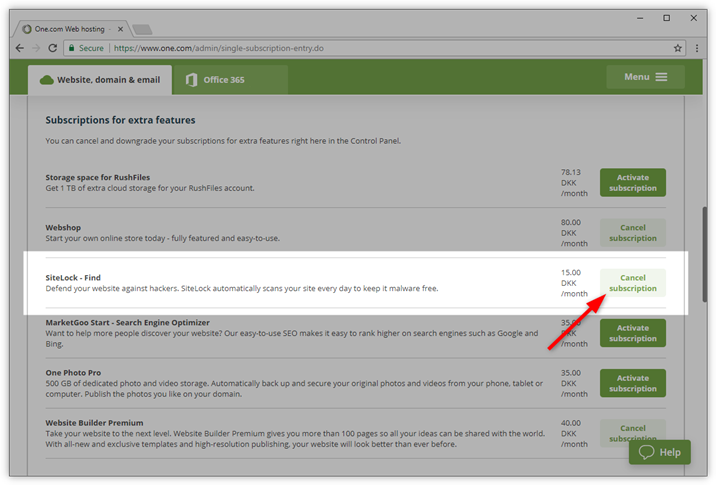 If you want to cancel an extra feature, you can do this from the One.com control panel. Keep in mind that subscriptions on extra features are renewed automatically, 30 days before the renewal date. The same as for your web space subscription. You are welcome to contact our sales and administrative support via email if you have questions about this. Log in to the control panel and click on My account in the top right corner. 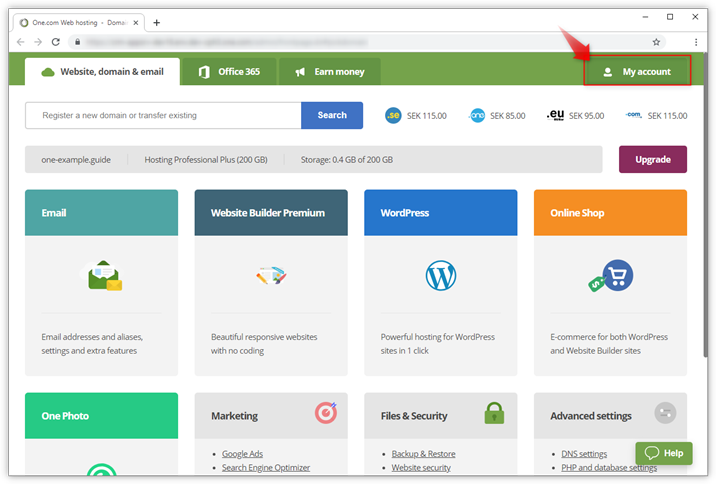 On this page you can manage your subscription. 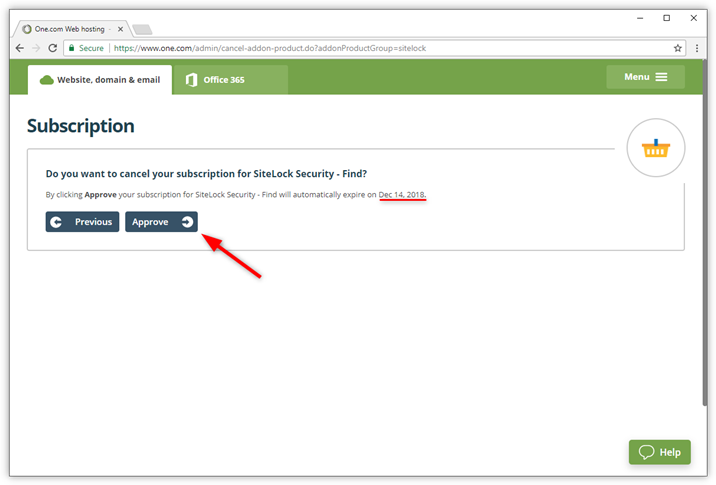 Click on the domain and subscription for which you want to cancel the extra feature. Scroll down to Subscriptions for extra features. 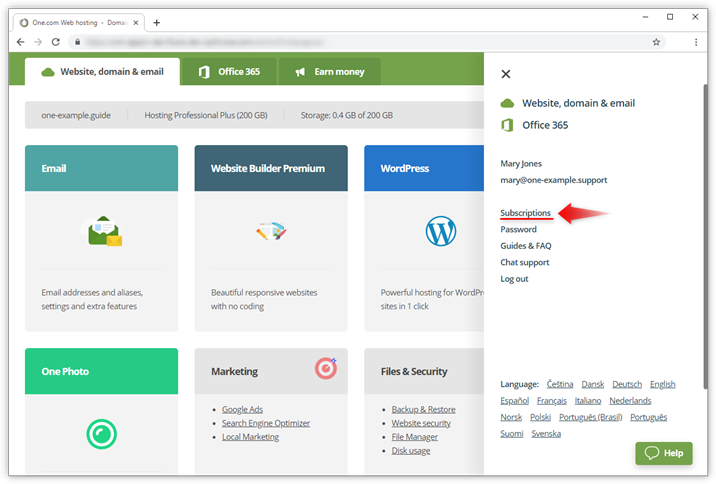 Here you see all extra features you can enable on your domain. Locate the feature you want to cancel and click Cancel subscription. 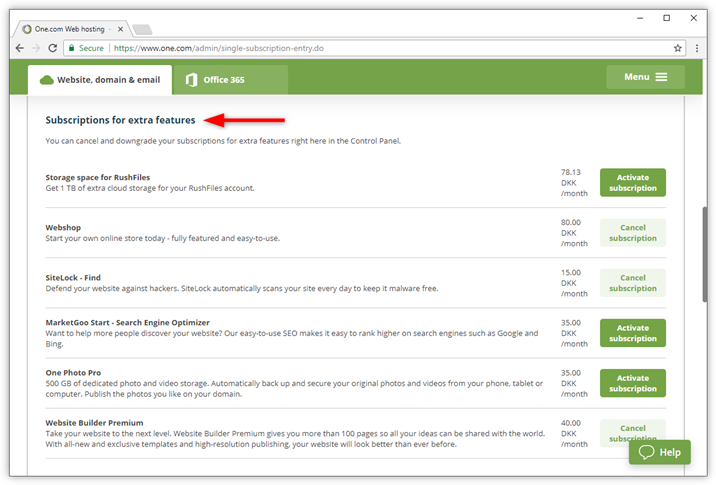 Tip: You can also add or resubscribe to extra features from here. Click Activate subscription for the product you want to add. Click Approve to confirm that you want to cancel. 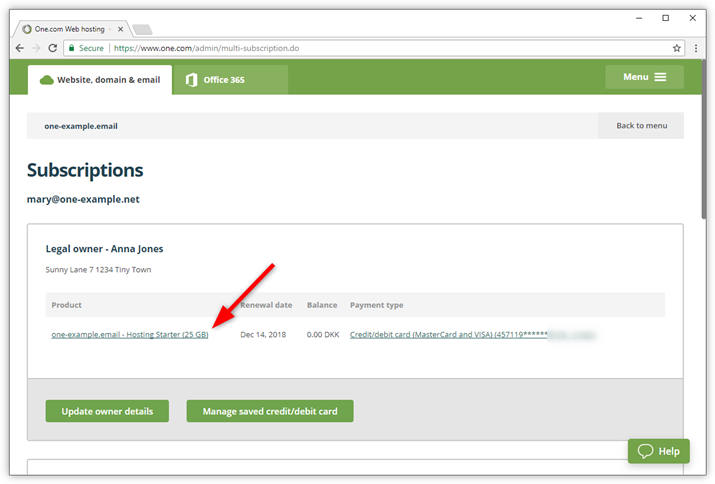 The feature will stay active until the expiration date that is listed on this page.